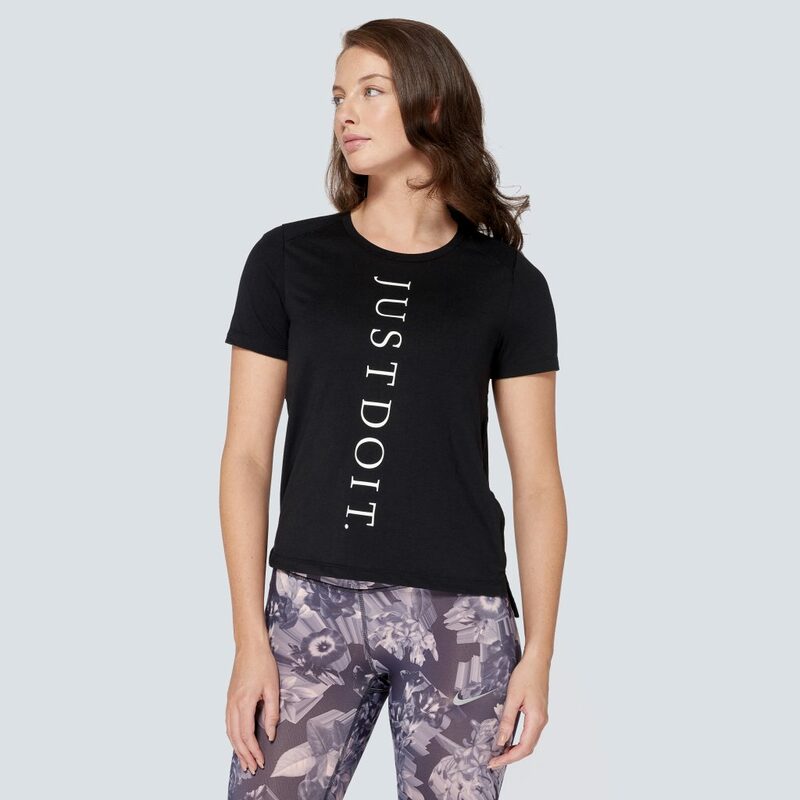 A lightweight T-shirt with Nike Dry fabric that will keep you dry and comfortable on every run. This bra is perfect for light training such as weights, walking or yoga. The Nike Indy Shine Bra gives light support while featuring a low U-neck design in both front and back provides minimal coverage while cut-outs on the straps and a subtle sheen to the fabric elevate style. Providing optimum coverage with virtually no restriction on range of movement, these Nike Epic Print ¾ Tight are ideal for any type of workout.